What’s Your Condition?? Do any of these sound like you? Physical Pain? Allergies? Headaches? Need Energy? Too Stressed? Want to lose Weight? If any of these are conditions you are experiencing, we have a service that can help. Key West Wellness Center provides relief for many health concerns and offers Wellness programs covered under most insurance benefits. 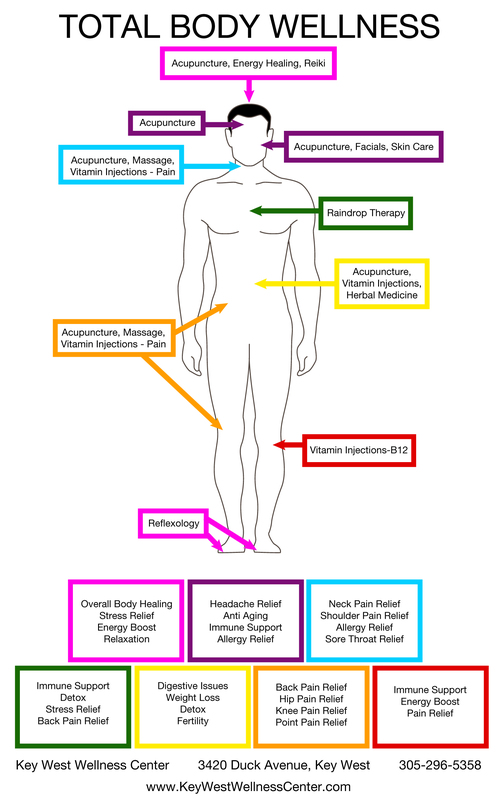 Our Total Body Wellness Chart can help you identify the Wellness options we may use to help you feel better today!